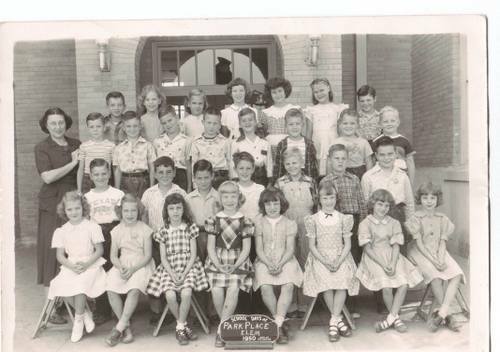 Sheila Steele Howard sent the following identifications for this class picture. Please give us further information or corrections that you may have. Front: Charlotte Vann, Kit Cook, Grace Jane Moore, Nancy Norred, Peggy O’Neal, Carolyn (Cherry) Hudson, Janellen Wilder, ?. 4th: James Verlander, Sheila Steele, ? , ? , Pat Bain ?, Linda Robinson, ?